2020 Report of a damaged window Hugh Stewart Hall Security attended. The damage had been caused by Students climbing out of a window the Hall Warden and Manager to be informed. 0540 Request to unlock Cavendish Hall for Staff as the person responsible for this had misplaced their car keys and would be late arriving to unlock. Security attended and provided access to Staff. 19:00 Security reported a group of youths on BMX bicycles between the Geospatial building and the Energy Technology building at Jubilee Campus. The youths were asked to leave and they complied. It was also reported that two wooden platforms were in position which appeared to be for use of bicycle tricks. The wooden platforms were overturned by Security to prevent them from being used for this. 11:00 Security accompanied a member of staff to a room at Nottingham Medical School to retrieve his confidential paperwork. The paperwork was found in the place that he had left it and the room was secured. 1145 Patrol Security Officers observed a cloud of red smoke outside the Portland Building. Officers went to investigate and watched as a cash in transit Guard ran up out of the building to his vehicle with a cash box with red smoke coming from it. Security Officers spoke to Staff in the area and were informed that the Guard had been collecting money from the Building when the box had activated causing the Guard to run from the Building. 1550 Patrol Security Officers observed a bin on fire outside the Humanities Building. 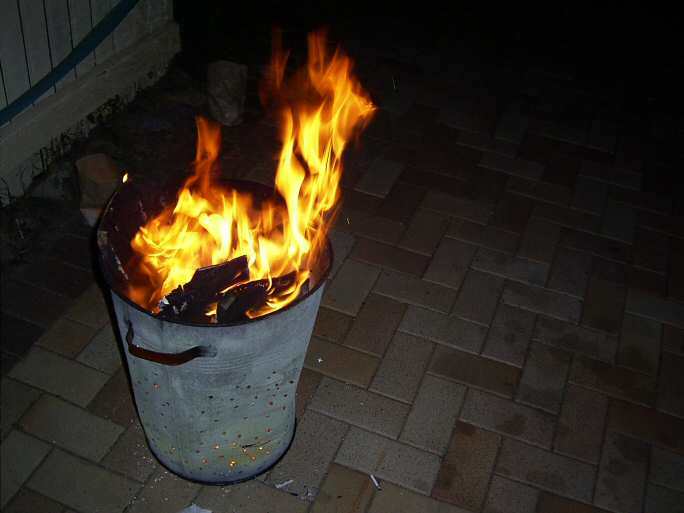 The cause of the fire was due to a disposable BBQ being put in the bin while still burning. Officers put the fire out – Estates Help Desk to be informed. 1525 Report of a cigarette bin on fire outside Si Yuan Building. Security attended and put the fire out. 0645 Report of male acting suspiciously on Jubilee Avenue. Security attended. 0945 Report of a Dog running loose on Beeston Lane. Security attended. 1425 Report of an HGV broken down on the roundabout outside of West Entrance. Police on scene. Security attended to assist with traffic control coming onto Campus. 1830 Report of brown water coming out of the taps at College Road. Security contacted Severn Trent who advised the Tenant to run the taps for 20 minutes after which the water became clear. This entry was posted in Community, Diversions, Education, HE, Students, True Crime on Campus, University of Nottingham and tagged campus, crime, Diversions, HE, Quidditch, security, Students, University, University of Nottingham by Paul. Bookmark the permalink.